Thank you for stopping by Allen Refrigeration & Equipment, LLC. We are a second generation, family owned business, located in Dayton, Ohio. We are Ohio’s largest distributor of refurbished commercial coolers and freezers. We specialize in refurbishing used refrigeration equipment to above factory standards and offer our equipment for less than half of the cost of new. 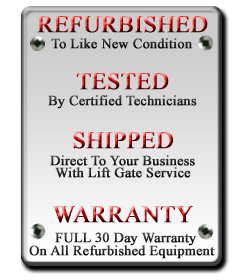 All of our refurbished units have been thoroughly cleaned inside and out and checked by our certified technicians for proper operation. We also offer new, commercial refrigerators, freezers, ice machines, soda or pop dispensing machines, beer coolers, keg coolers, walk-in freezers and coolers, glass chillers, reach in coolers and freezers, stainless steel prep tables for salad or pizza preparation. Purchase anyone of our products direct from our online store or call us by phone to discuss your specific application. If you do not see the item you are looking for on our website, give us a call for a quote over the phone. 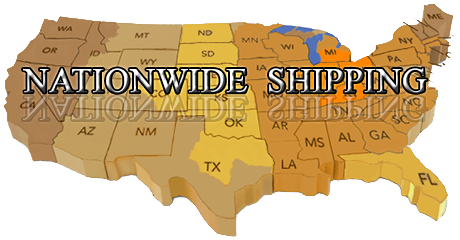 Located in Dayton, Ohio ... we have the advantage of being able to ship direct to your office, home or business location quickly. Being located in the heart of the nation, allows us to ship your commercial cooler or commercial freezer in a matter of days, once it meets our operational and cosmetic standard and leaves our location. 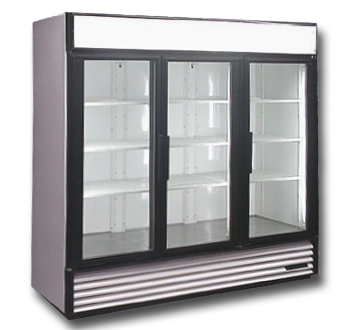 With thousands of used, commercial, True and Beverage Air Coolers as well as used, commercial, True and Beverage Air Freezers, we are able to provide you with as many glass door refrigeration units needed for your facility. 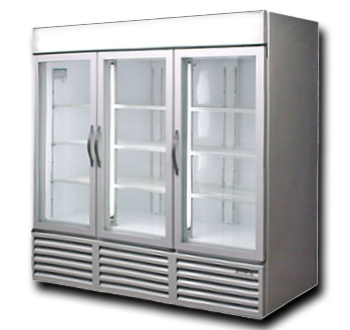 Our 2 door and 3 door used, commercial coolers and used commercial freezers are equipped with fog free glass doors to clearly display your product to your customers. Contact Allen Refrigeration & Equipment, for more information or to place your order today. If it’s just parts you are looking for, we also stock thousands of OEM and aftermarket parts for all industry leading equipment and manufacturers. Visit our Online Parts Store to find the exact replacement parts you need. Not sure what part you need for your particular refrigeration unit! Give us a call, please have your model number and serial number ready when calling our sales team. Allen Refrigeration & Equipment, LLC also provides professional onsite, refrigeration service and repair at a competitive price for your restaurant, bar, convenient store or church. Our service technicians have over 50 combined years of experience in the refrigeration and heating & air conditioning industry ... no job is to big or to small. All of our service vehicles are properly marked with company logs, licensed, insured and fully stocked with replacement parts to get you back up and running quickly. We also offer preventative maintenance programs to help keep your equipment in optimal, operational condition to assist in eliminating down time as well as unnecessary service calls due to dirty coils, broken belts and unsanitary ice machine conditions. Allen Refrigeration & Equipment, LLC is proud to be an authorized service and warranty contractor for True Food Service, Manitowoc Ice, Kolpak, Beverage Air, Master Bilt, Carrier, FBD, Federal Industries, AHT water coolers, Norlake and Servend. Allen Refrigeration & Equipment is a drug free workplace; all employees are subject to random drug screening.